Washington (AFP) – Republican US lawmaker Steve Scalise elated colleagues Thursday when he returned to Congress for the first time since being gravely wounded in a mass shooting at a June baseball practice. A beaming Scalise drew loud cheers, fist bumps, and multiple prolonged standing ovations when he walked using crutches onto the floor of the House of Representatives and addressed the chamber, three and a half months after he nearly died in an attack that also wounded three others and shocked the nation. “You have no idea how great this feels to be back at work in the people’s House,” Scalise told the packed chamber in an emotional speech announcing his return to work. The 51-year-old lawmaker from the southern state of Louisiana faced what doctors described as an “imminent risk of death” when he was rushed to the hospital with a gunshot wound on June 14. He was shot in the left hip with a high-velocity rifle wielded by a gunmen who stormed a congressional charity baseball game practice. He underwent several surgeries and months of rehabilitation. 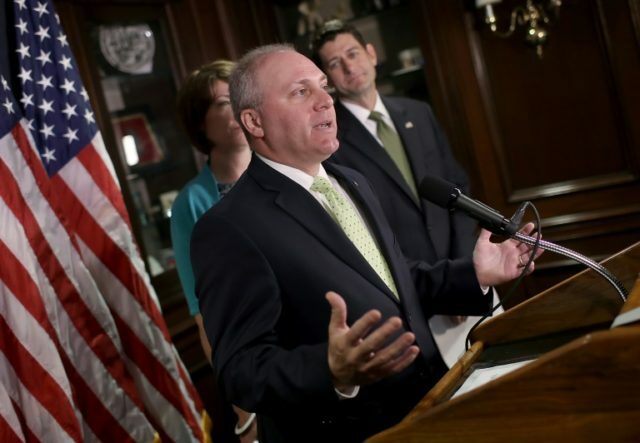 More physical therapy lies ahead in order to “relearn how to walk again,” Scalise said. A lobbyist, a congressional aide and a US Capitol Police officer who exchanged fire with the gunman were also shot. They have been released from hospital. The gunman died. The attack stunned Washington, in part because of its political nature. One of the police officers who put his life on the line at the baseball practice, David Bailey, was in the House chamber as Scalise spoke. Scalise turned and looked up at the officer. “David, you are my hero, you saved my life,” he said, to sustained applause. 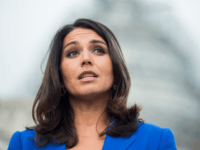 The rising conservative star in Congress is the number three House Republican and holds the position of majority whip, who rallies the party’s votes in the chamber. He spoke repeatedly of how his faith in God helped carry him through. “I just started to pray,” he told the chamber about the moments after he was shot. But he also spoke of being “overwhelmed” by the outpouring of love from colleagues, and by “the warm side of Congress” that most Americans do not get to see. He detailed the visits and best wishes from lawmakers from across the political spectrum, as well as phone calls from international leaders including Israeli Prime Minister Benjamin Netanyahu, British Prime Minister Theresa May and King Abdullah of Jordan. House Speaker Paul Ryan hailed Scalise as an inspiration. “Our prayers have been answered,” Ryan said.